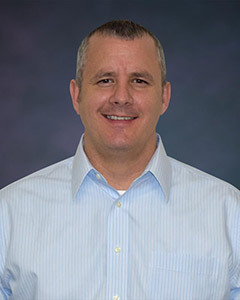 February 2016 – The Malish Corporation, a global leader in the manufacturing and marketing of rotary/disc brushes for commercial floor cleaning machines, along with a growing line of janitorial and foodservice/color-coded brushes, has announced that Kevin Young has been promoted to the position of Director of OEM Sales North America/Asia. Mr. Young has been with Malish for over 13 years as OEM Sales & OEM Sales Manager responsible for North America, Asia and Oceania. Mr. Young resides in University Heights, Ohio with his wife and five young boys. Kevin Young can be reached by email or at 800.321.7044. Founded in 1948, The Malish Corporation specializes in the manufacturing of rotary or disc brushes, janitorial brushes, foodservice brushes and the Diamabrush™ By Malish Floor Preparation System. The company is also a custom extruder of thermoplastic tubes and profiles. Headquartered in Willoughby, Ohio, The Malish Corporation operates manufacturing facilities in North America and Asia as well as a distribution center in Europe. With a reputation for quality, engineering, testing and integration, The Malish Corporation provides every customer with personalized business solutions.